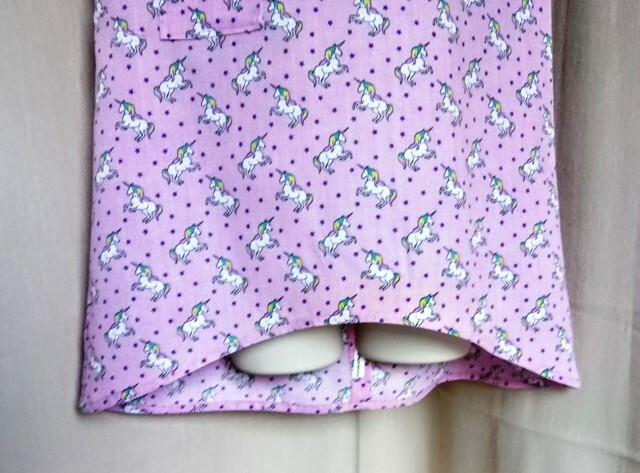 A lovely summer, hand made, girls top, made in 100% cotton fabric in pink with white unicorns on it, a favourite with the girls this season. 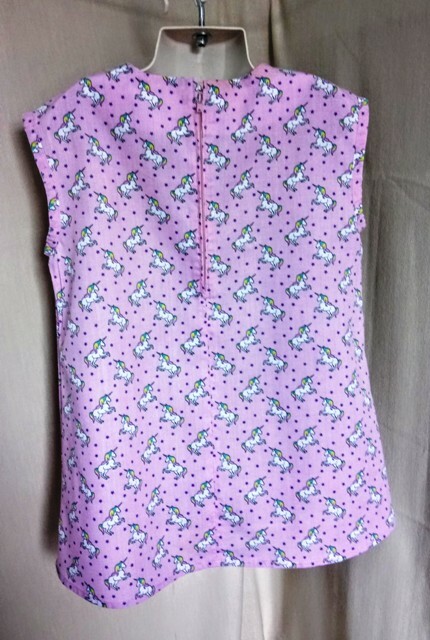 It has a round neckline, is sleeveless, has a back zip fastening, with hook and eye. Also it has a front pocket and shaped hemline, longer at the back than the front. This is a very pretty item of clothing, which is unique to the San Gallery. 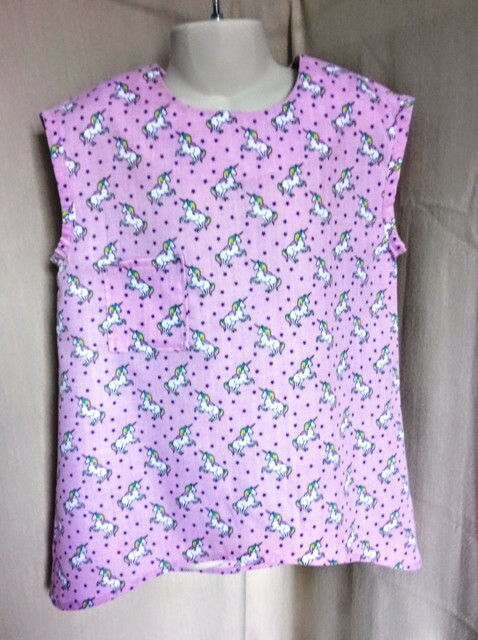 It is fully washable, and an item your little girl will want to wear again and again. Back neck to hem 21" (53cm) 3.5" shorter at the front.